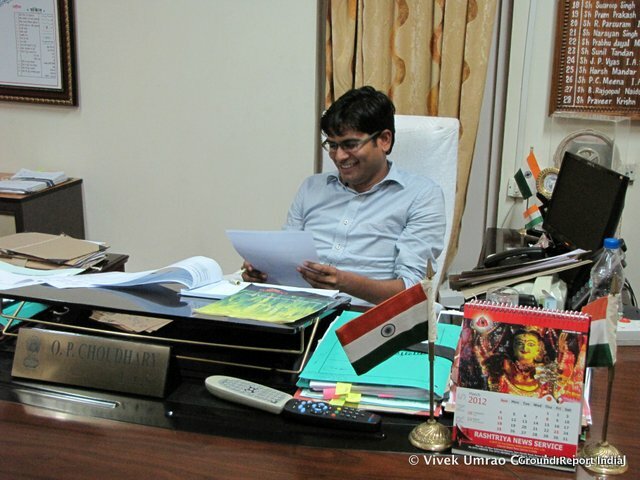 Om Prakash Chaudhary IAS, popularly called OP Chaudhary or OP, was appointed as the district collector in South Bastar (Dantewada) in the last week of March 2011. For about two months he was busy conducting elections for the vacant seat of a member of parliament. But since then, in less than a year, he has done tremendous work for the community of Dantewada district, following bureaucratic accountability, corporate social responsibility and a vision of education, generated from his own life in studying in poorly managed village schools. Chaudhary says that he requested the chief minister to send him in the area because he was getting news of the disturbances in this area, and had a wish to come to this area as a public officer. Chaudhary thanks the chief minister for accepting his request. According to Chaudhary, it is not easy to get opportunities where one can work for a substantial social change, and he considers himself very lucky to have been given such an opportunity. Chaudhary is on the hit-list of the Maoists because he works for education with the ideas of TAMANNA, CHHOO LO AASMAN and an Education City for the tribal children in the district South Bastar (Dantewada). These various aspects of his work are further explored here in this article. OP Chaudhary initiated and executed the idea of TAMANNA in 2011, the same year he was posted as the district collector in Dantewada. 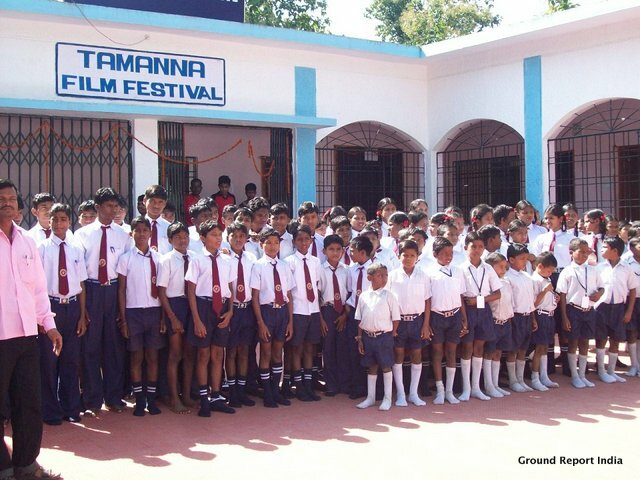 TAMANNA aims to widen the intellectual horizon of the children of this remotely located district, by conducting exposure visits on a regular basis to the district headquarters and other nearby developed cities. The children studying in the remote areas are brought in groups by bus to the district headquarters on a one-day exposure visit. The children meet the District Collector, the Superintendent of Police, the Divisional Forest Officer, the Chief Executive Officer of Zila Panchayat and other government officials to understand the nature of government works in the respective offices and how to reach the public administrative services. Children also visit different places of importance nearby the district headquarters. 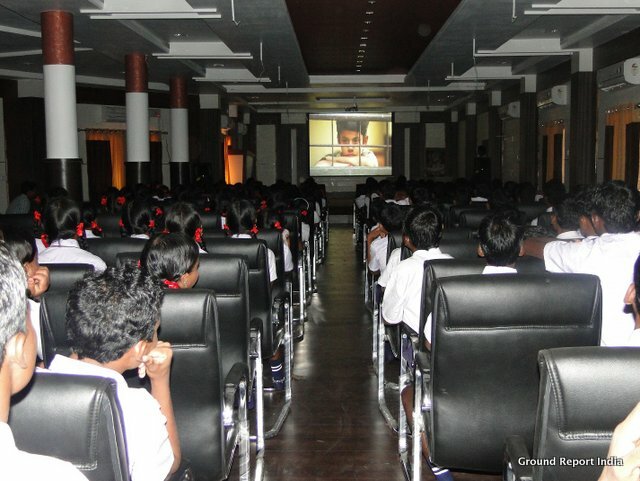 At the end of the exposure visit, they watch an informative children movie at the well-furnished auditorium in the district library, was specially constructed for this purpose. Chaudhary believes that these visits will widen the children’s horizon and the children will start thinking of becoming a valuable citizen in their future, which is essential for the more significant tree of development. 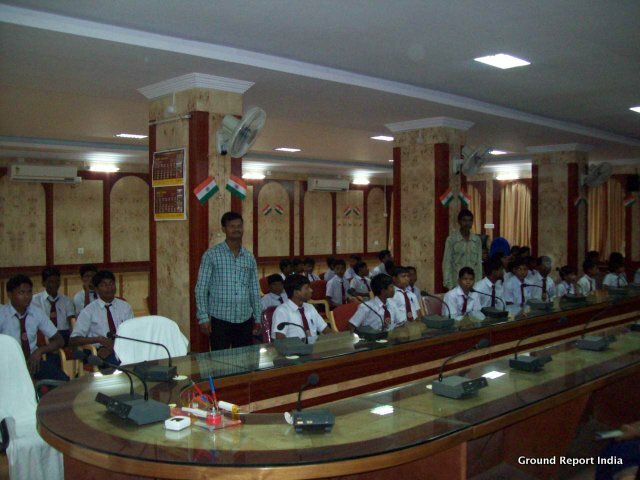 Initiated in the year 2011 by OP Chaudhary, CHHOO LO AASMAN aims to generate a scientific and professional temper among the children of the Naxal affected backwards district to make them capable enough to face the competitive career exams of the outer world. The main thrust of the CHHOO LO AASMAN is to develop students in this region by providing them with a good quality education and provide career guidance for a better future. By supporting students to become role models in this region also has a demonstrative effect for other students as a message that education provides a better future for children. Interested children who are studying in Class 11th and 12th are picked from across the entire district and enrolled to pursue this novel way of studying. 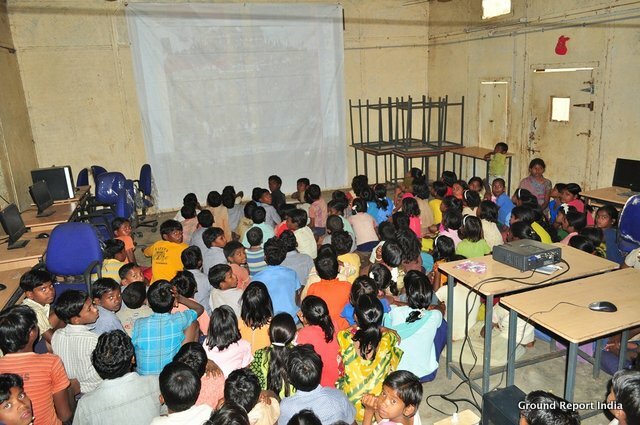 These children live in residential schools at the district headquarters and are provided free education, free residence, free study material and a nutrition-rich diet, along with special coaching facilities through reputed institutes such as Kota Rajasthan. 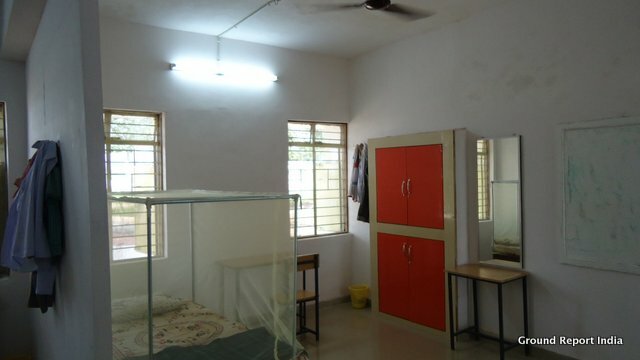 Two separate campuses have been developed for boys and girls with all the necessary facilities. Children studying in these residential schools are thus provided two types of education. One is the regular academic schooling and the other is professional coaching classes in extended hours by expert teachers of the calibre of Vision Kota Institute Rajasthan. High-quality science teachers have been earmarked from different Government schools and have been deployed to teach regular classes in these campuses. Children of these campuses are provided with all facilities which are necessary for educational, physical and intellectual development. Apart from preparing the children for competitive examinations, they are also taught yoga, meditation and fine arts. Aside from pre-engineering and pre-medical examinations, children of these campuses are also encouraged to enrol in other professional courses such as nursing and pharmacy. As the district of Dantewada is far from the big educational avenues located in the bigger cities, the poor and backward tribal families are quite unable to provide their children with the proper food and education. However, OP Chaudhary understands that the child is a valuable human asset for society and there are always the most of the talents of academic and non-academic sectors do not flower properly and are untapped in the backward areas just because of lack of proper facilities. Chaudhary realises the urgent need of providing a friendly environment with long-term plans to mitigate the risk of education deprivation of the region to the children of this region in which children do not hesitate to dream of a professional career for themselves beyond local violence. 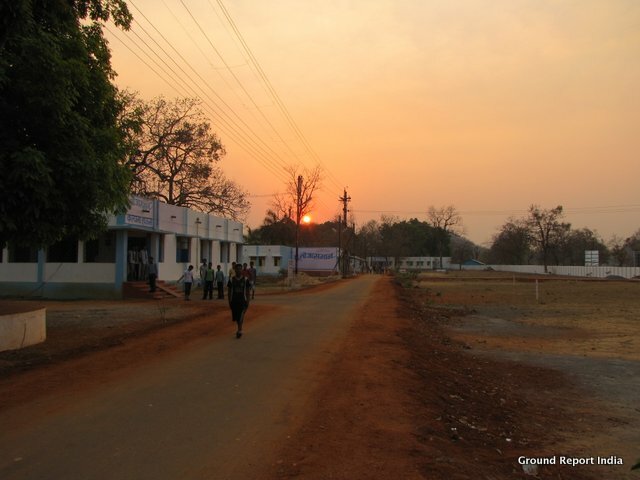 Constructions of POTA-Cabins, primary, high schools, engineering college, polytechnics, and industrial training institutes, with a proposed university, are the steps for bringing educational enlightening to the district of Dantewada. It is believed that the potential exposure of children could guide them to set goals for their future and inspire them to work towards achieving these goals rather than look to violence. 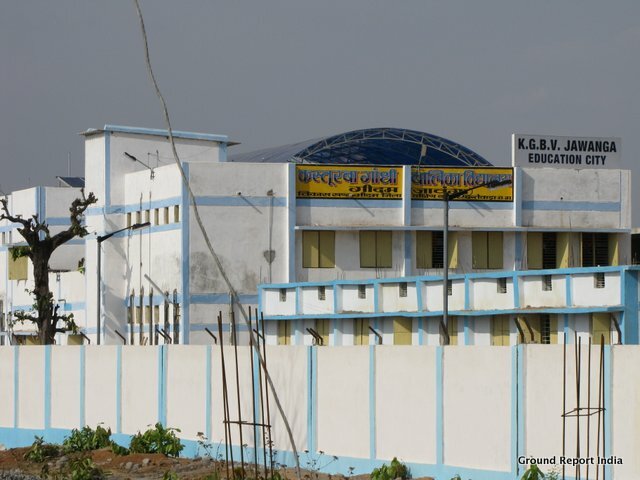 The objective of the Education City is to motivate the students to think critically. Education City is committed to creating a secure educational environment. 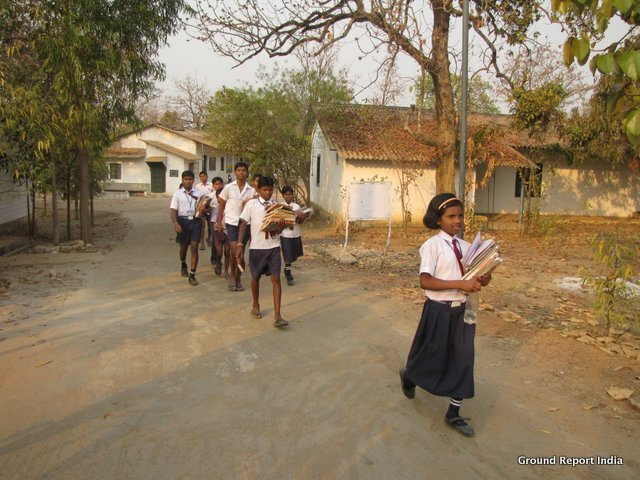 The students of Education City would be children from backward villages. As students in the Education City, it would prepare them for entrance exams in medical and engineering and other professional courses. Children of these campuses would get all facilities necessary for the educational, physical and intellectual development. 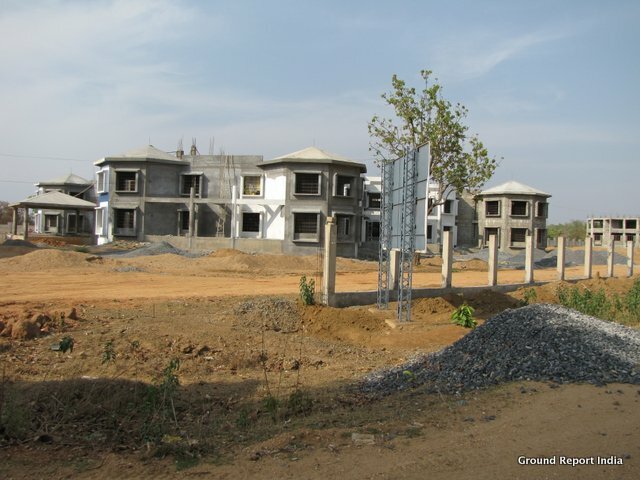 According to OP Chaudhary, the idea of Education City is to develop a model of primary education, cultural development, scientific temper development and professional and technical education for deprived children, with the world-class facilities. The Education City would also promote sports talents by providing world-class sports training facilities. “This will improve employability, quality of life and will motivate the younger generation away from the gun towards the pen and a brighter future, ” says Mr Chaudhary. 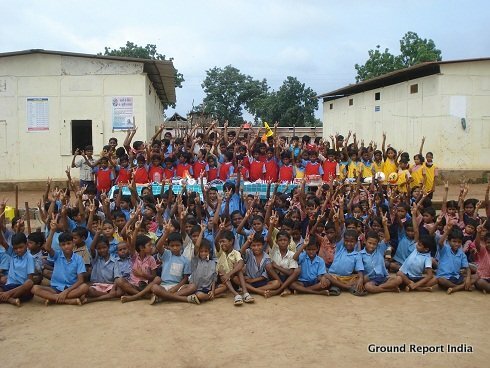 Due to Naxal violence, schools experience problems such as lack of teachers and absence of basic facilities. Under this situation, the administration has undertaken the task of providing quality education to all children by constructing temporary school buildings in place of the conventional concrete school buildings. POTA-Cabins are made of bamboo, tin and other materials and act as temporary school buildings. 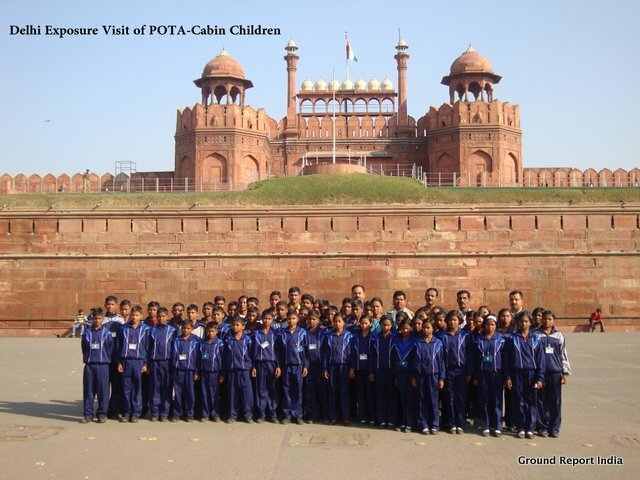 The POTA-Cabin is a program of the state and central governments. 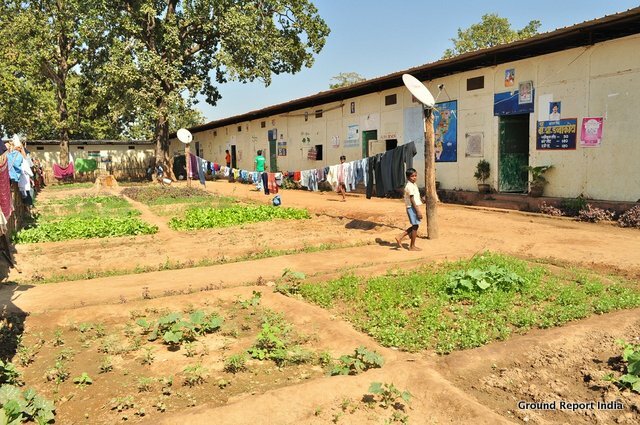 POTA-Cabins are established in remote interior villages of Dantewada district. 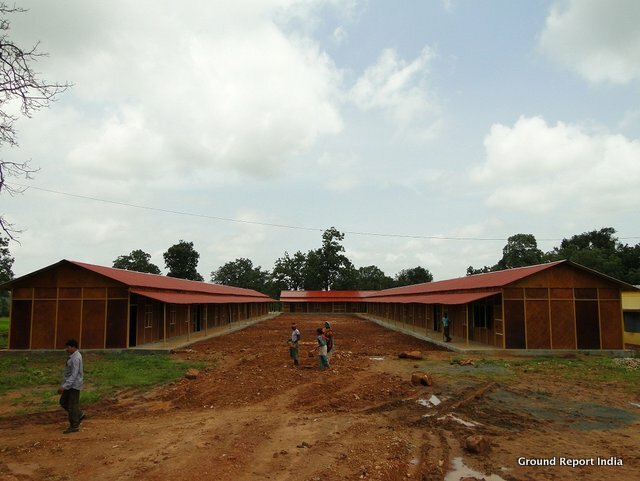 Children of interior villages are pursuing their education from Class I to Class VIII in these residential POTA-Cabins. The percentage of school dropouts is very high in the district, especially in middle and high school levels. Those children who do acquire primary education in local schools discontinue further studies because they do not find the next level of schooling close to their villages. Economic conditions of parents also contribute to the high rate of school dropouts. Parents see their children as extra members to support money earning for the family. Parents prefer to employ their children in the collection of minor forest produces like Imli, Mahua, and Tora rather than send them to schools. Tribal parents of interior villages do not even find themselves capable of bearing the extra expenses for education. Establishment of POTA-Cabins resolves many such problems. 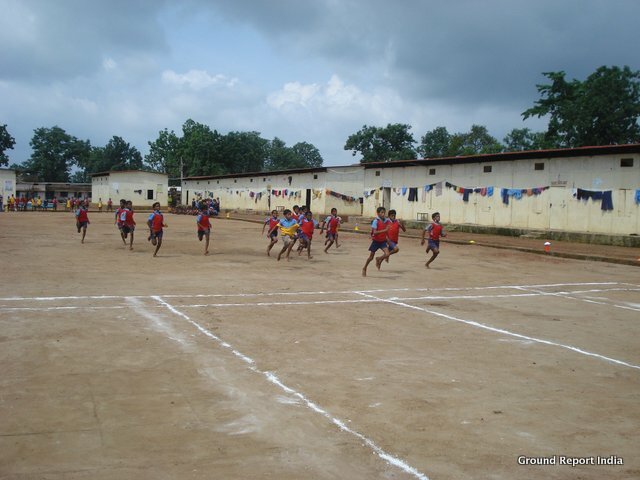 Each POTA-Cabin provides residential school for children of 8 to 10 surrounding villages. Facilities provided include uniform and night dresses. POTA-Cabins are also equipped with colour televisions, DVD players, computers, sports material and library books. 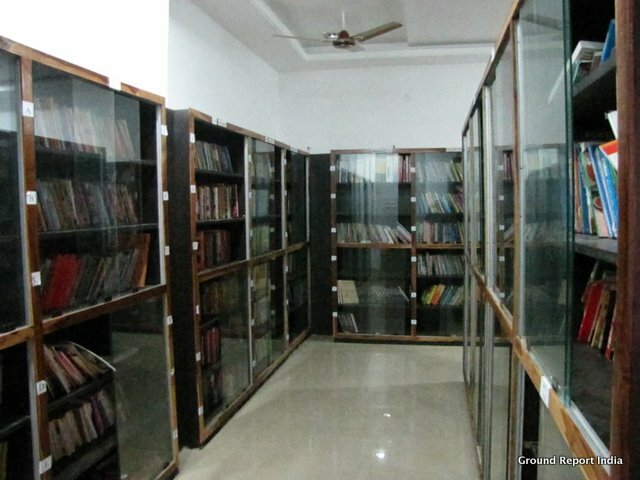 The economy of the entire South Bastar region is based on forest products. The primary means of livelihood for the tribal population of Bastar region has traditionally been the collection of seasonal forest products. A small section of tribes is engaged as mining labours and do practice single cropped agriculture. Because of the lack of marketing opportunities, forest products collected are given to local traders at a low price. The local people lack technical skills and are not inclined to engage themselves in construction and other developmental activities. All skilled and semi-skilled workers are brought from other cities by contractors. Due to this, the construction cost of a building is substantial, and in most of the cases the skilled labour abruptly leaves the work, and the completion of work is delayed. As the skilled and unskilled labour is brought from outside, local people do not get a chance to enhance their skills. 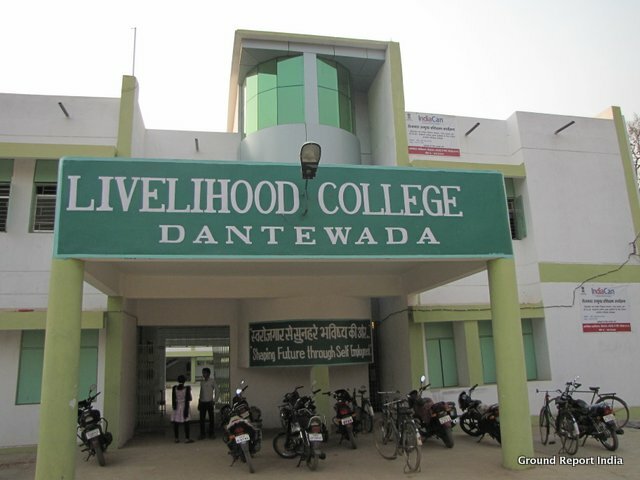 The Livelihood college aims to enhance technical skills and capacity building of local youth; The college seeks to boost self-employment and development, as well as address the scarcity of skilled and semi-skilled workers in the region of South Bastar (Dantewada). ​A District Collector, who teaches in the primary schools. 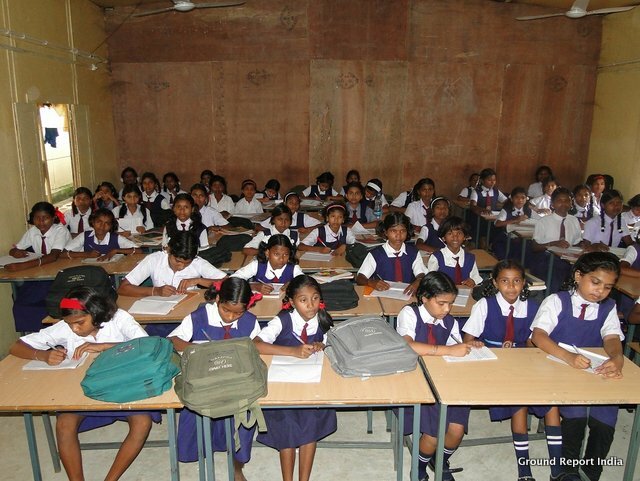 While intellectuals are busy with theories for justifying or denying the violence in the Bastar region, Chhattisgarh, an unmarried youth of just 30 years, OP Chaudhary IAS, is developing new theories on the ground towards a better community by establishing models of education for more than 20,000 tribal children. This youth was born in a village farmer family and grew up in a very backward village of Raigarh district in Chhattisgarh, Chaudhary completed primary and higher secondary education in the poorly managed village schools. It was his firm willpower that he could become an IAS officer at the age of just 22 years. Chaudhary had never studied in any prestigious institutes like Indian Institute of Technology (IIT) or Indian Institute of Management (IIM) or overseas thus maybe he is not an intellectual of various bookish theories. 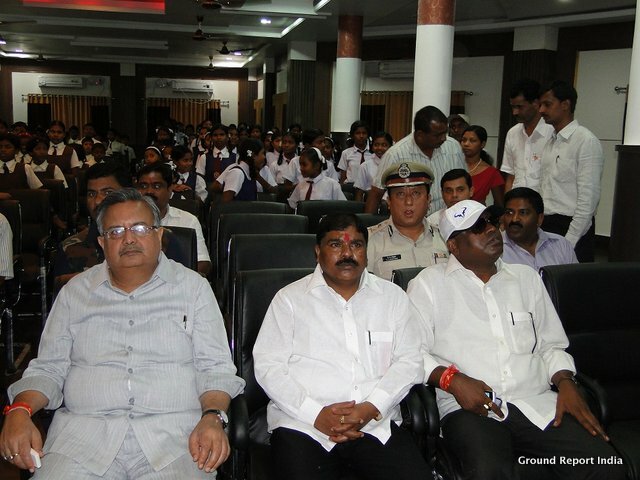 OP Chaudhary is the district collector of Dantewada, the most potent administrative authority in a district. But to motivate children for a better future and also to motivate school teachers, he teaches to tribal children when he visits POTA-Cabin residential schools. OP Chaudhary is trying to do the hard work in this district that should already have been done in this area. The ideas and efforts initiated or promoted by Mr Chaudhary will hopefully create a chain of real ‘Tribal Heroes’ who will work for a better vision of non-violence and development in their communities and homes. 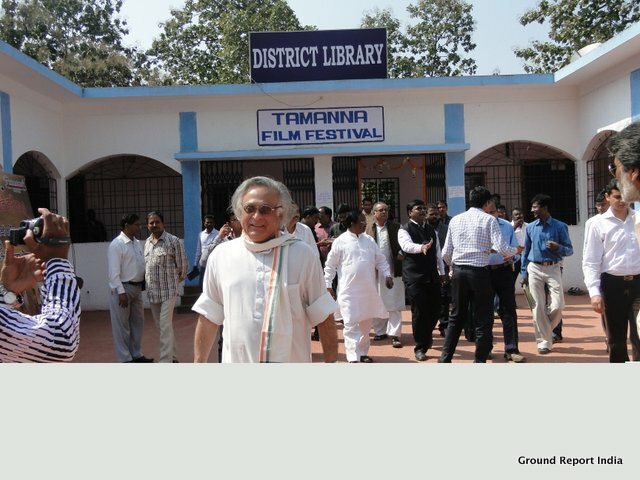 The Founder and the Chief Editor, the Ground Report India group. The Vice-Chancellor and Co-founder, the Gokul Social University, a non-formal but the community university. 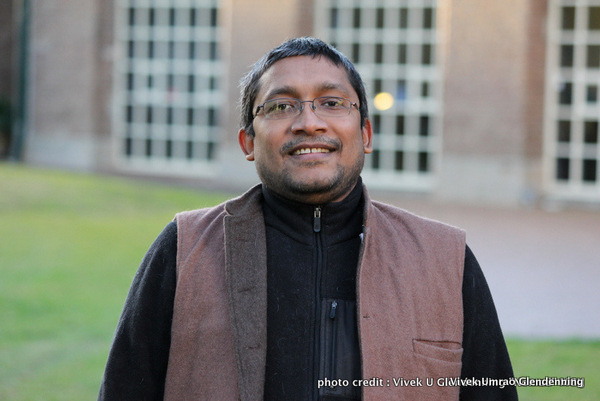 He is an Indian citizen & permanent resident of Australia and a scholar, an author, a social-policy critic, a frequent traveller, a social wayfarer, a social entrepreneur and a journalist. He has been exploring, understanding and implementing the ideas of social-economy, participatory local governance, education, citizen-media, ground-journalism, rural-journalism, freedom of expression, bureaucratic accountability, indigenous community development, village development, reliefs & rehabilitation, village revival and other. For Ground Report India editions, Vivek organised many national and state levels tours for exploring ground realities covering 5000 to 15000 kilometres in one or two months to establish Ground Report India, a constructive ground journalism platform with social accountability. He has written a book “मानसिक, सामाजिक, आर्थिक स्वराज्य की ओर” on various social issues, development community practices, water, agriculture, his ground works & efforts and conditioning of thoughts & mind. Reviewers say it is a practical book which answers “What” “Why” “How” practically for the development and social solution in India. Nowadays, He is writing a book on the theme of the Constructive Conflict Resolution in the Maoists affected region Bastar Chhattisgarh.